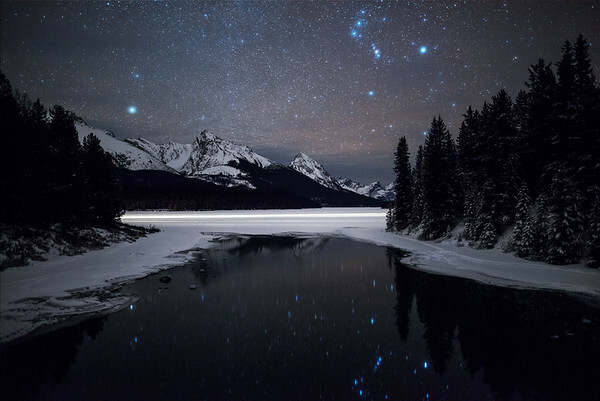 About Episode 1: Alberta, Canada In December 2017 and January 2018, Jeff Bartlett and Jack Fusco drove nearly 10 000 kilometres across Alberta, Canada, to photograph the province’s five Dark Sky Preserves and its International Dark Sky Park. 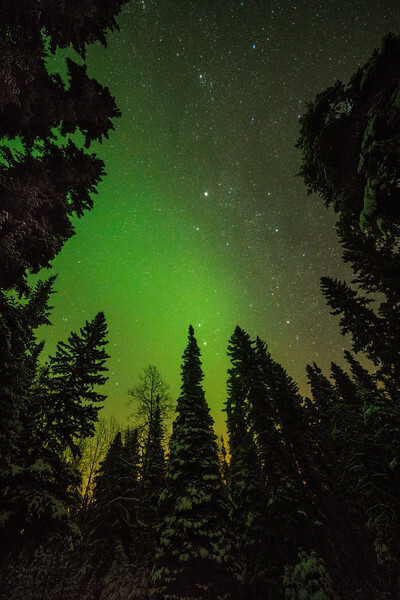 From photographing Orion on the eastern horizon in Cypress Hills Provincial Park to filming the northern lights in Wood Buffalo National Park, they discovered each destination had its own unique reason to visit. It’s impossible to pick a single highlight; however, the long journey north from Fort McMurray to Wood Buffalo National Park was remarkable. Throughout the winter, there is a temporary ice road that connects Fort Hills with Fort Chipewyan and the national park. It’s a 300-km trip across boreal forest, across the Athabasca and Peace Rivers, into a national park that is the size of Switzerland. Visiting during the winter brought its own challenges, but it was the ultimate season to visit. Longer nights gave them more opportunity to see and photograph the night sky. The lack of crowds made it easier, too, as they felt they had each area to themselves. But winter meant colder temperatures, especially in Wood Buffalo National Park and Lakeland Provincial Park. While filming these two dark sky preserves, the temperatures rarely rose above -30C. While it was easy to stay warm - either in cross country ski warming shelters or their vehicle - it wasn’t easy to operate camera gear. 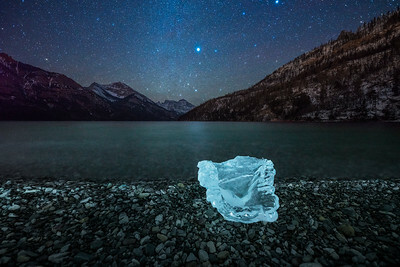 Best Reason to visit: It isn’t just the largest dark sky preserve in the world, but it is also the size of Switzerland. In the winter, it’s possible to have the entire place to yourself, too, while watching the northern lights. Getting there, especially in winter, is the true adventure. From November through March, a temporary winter ice road is built from Fort HIlls to Fort Chipewyan and into the national park. It’s a surreal 300 km drive through a rugged boreal wilderness that is definitely bucket-list worthy. How To Get There: Drive north from Fort McMurray along the seasonal ice-road that links Fort Chipewyan and the national park, or drive northeast from Edmonton to Hay River, NWT, before turning southeast towards Fort Smith. 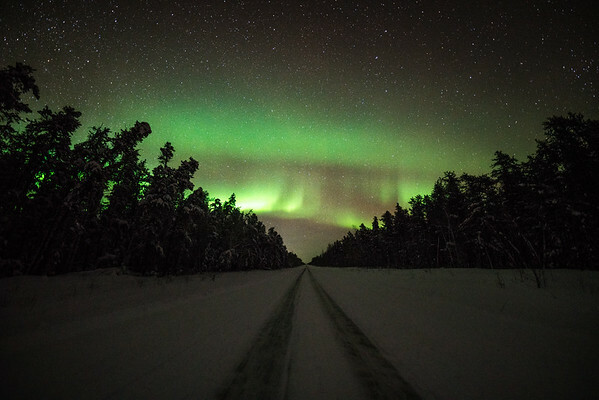 Best Reason to visit: While watching the northern lights soar above the winter landscape, it isn’t uncommon to hear wolves howling in the distance. It really is that wild, despite being just a short drive from Lac La Biche, the nearest city. 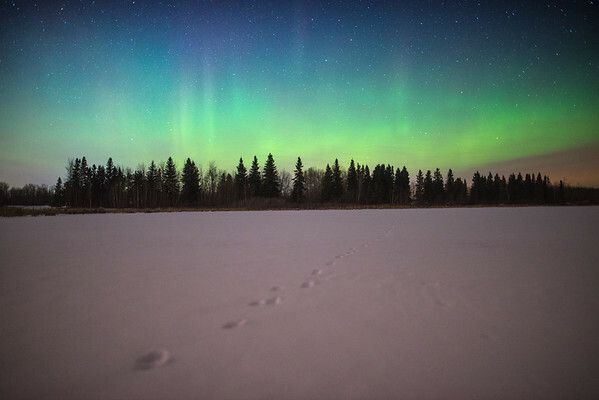 It is still relatively close to Edmonton, too, so Lakeland Provincial Park is an ideal weekend getaway for anyone whose priority is viewing the northern lights. How To Get There: Travel 215 km northeast of Edmonton, following signs for Fort MacMurray/Lac La Biche. Best Reason to visit: Cities emit plenty of light pollution, which blocks our view of the night sky, so it’s rare to have a protected dark sky preserve so close to a major city. From downtown Edmonton, it’s only a 30 minute drive to stunning clear night skies. 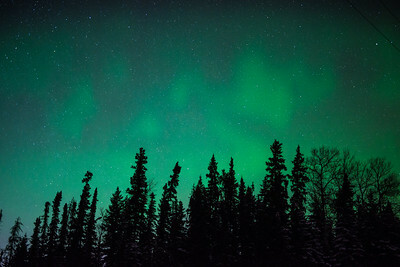 Anybody visiting Edmonton should head to Beaver Hills and Elk Island National Park Dark-Sky Preserve if there is an aurora storm forecasted for KP3 or above. How To Get There: Drive 45 km east of Edmonton along Highway 16. Best Reason to visit: Jasper National Park was Alberta’s first dark sky preserve and the designation is celebrated during the annual Dark Sky Festival in October. This two-week event highlights the night sky, brining astronauts, scientists, and night sky enthusiasts together with keynote speakers, night-sky viewing opportunities, and workshops. How To Get There: From Banff, follow the TransCanada highway to Lake Louise and the famous Icefields Parkway north. From Edmonton, drive west on Highway 16. Highlight: It feels like a planetarium. 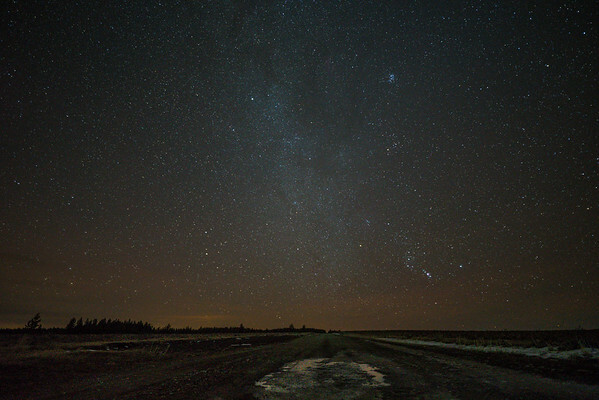 Looking east from Cypress Hills, Alberta, there isn’t a trace of light pollution and stars, including Orion, are clearly visible not just overhead but right along the horizon. It’s surreal to see so many stars in the night sky. How To Get There: Travel southeast of Calgary along the TransCanada highway to Medicine Hat, then highway 41 south to the park. Best season to visit: Waterton sees way fewer visitors than both Jasper and Banff National Parks, but has much of the same charm. 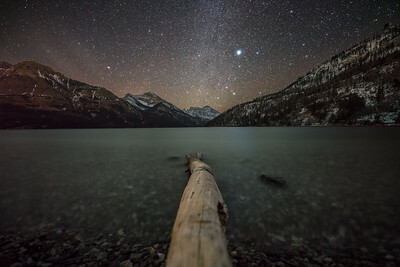 The small town, situated in the heart of the park, is surrounded by the Canadian Rockies and some of the best views are within walking distance along the Waterton Lake shoreline. How To Get There: Drive 275 km southwest from Calgary to Pincher Creek and south to the national park entrance.